It’s hard to forget first encounters with the safari world’s Big Five, with individual lions and leopards etched into memories. 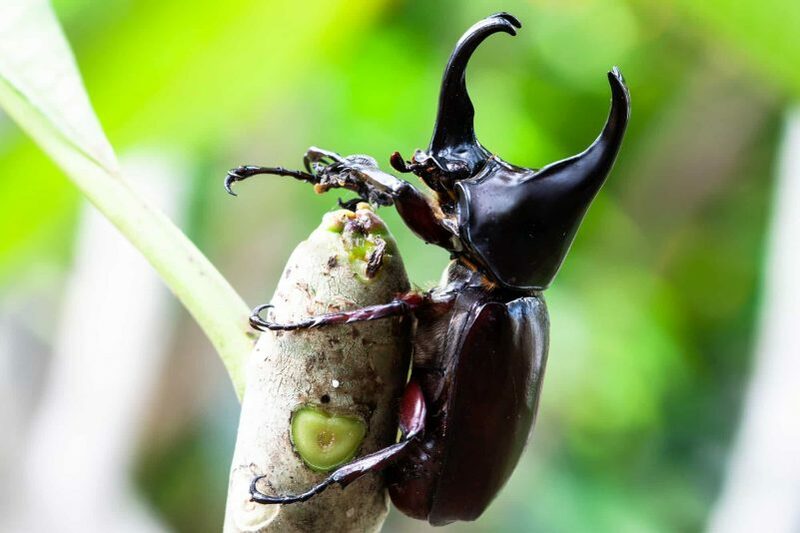 I have entire movies in my mind that I can play back at will – showreels of elephants appearing from behind the tiniest shrubs, and rhinos with extraordinarily long horns. The other large animals are easy to recall, too: I remember watching a giraffe appear to be choking and realising, as I sat contemplating the technicalities of carrying out the Heimlich manoeuvre on my long-necked companion, that he was actually using his throat muscles to crush an apple. A few coughed swallows, a quick shake of the head, and he had happily choked down his main course and reached up for dessert. It was in the Vwaza Marsh Wildlife Park in Malawi that I was first introduced to the Little Five – the cousins, if you will, of their more famous counterparts. I had already started keeping an eagle eye out for firm favourites the dung beetle (with the female gripping the side of a perfectly rounded ball of dung clearly yelling frustrated directions to her male partner) and discovered I had also inadvertently been Little Five spotting every time I noted a Leopard Tortoise. 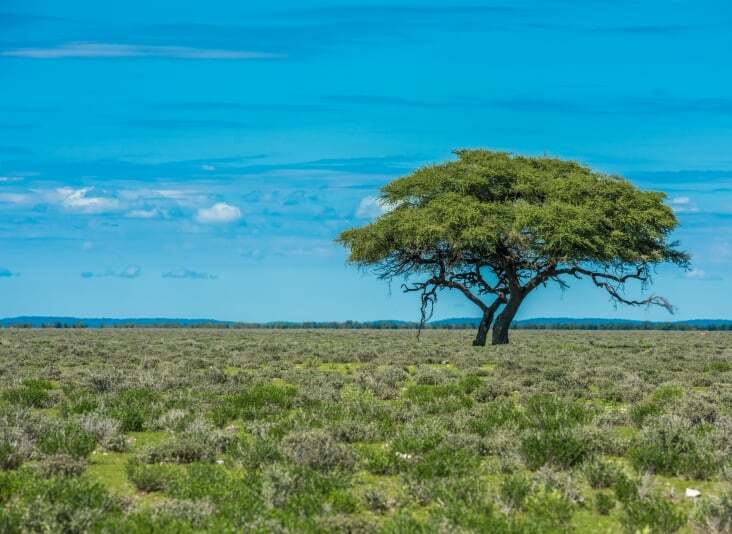 The bush can only function if it is left undisturbed by poaching, mass tourism, and the insistence the 21st century has of putting a layer of concrete over everything (a main road through a route of mass migration, you say? Oh why not…). It exists in an incredibly delicate balance of predators, plants, and tiny critters – and it’s these little guys you should keep an eye out for when waiting at a watering hole for something larger to rock up. 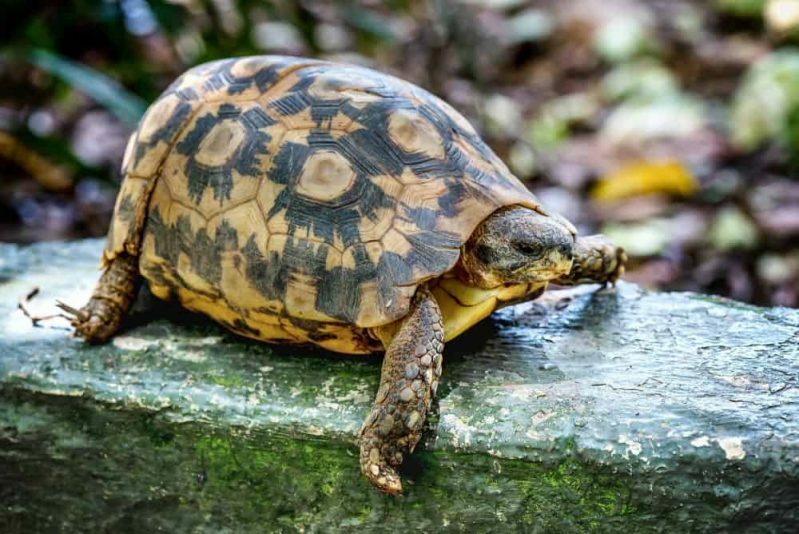 Leopard tortoise: these prettily patterned tortoises can grow up to a metre long in some areas of Africa, and they are unique amongst tortoises in that there is no shell over their neck allowing them to raise their head and swim. In the long, dry winter months they have a special sac for storing water – used for hydration or dampening the ground so a female tortoise can more readily bury her eggs. Interestingly, the temperature at which eggs incubate dictates whether a male or female will be born. They make for particularly excellent photographs trundling along beside a safari vehicle. Elephant shrew: if you catch a glimpse of one of these speedy little guys you’re in luck, as despite being absolutely tiny – maybe only 10cm long – they can run at nearly 30kmph. 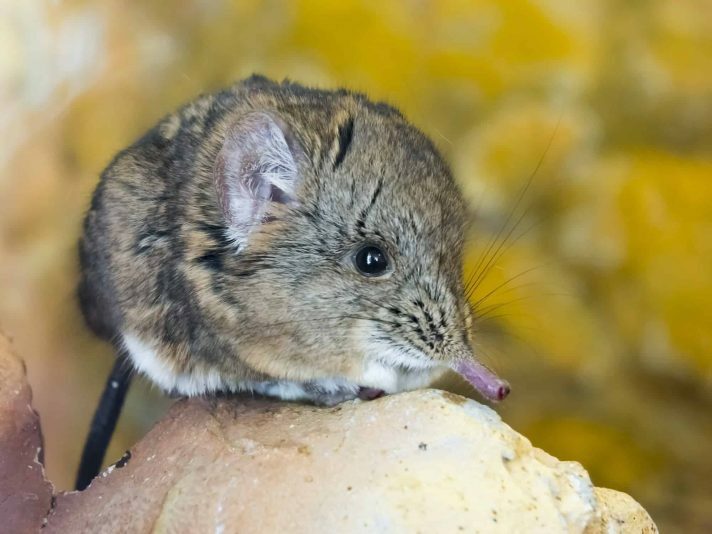 Named for their long nose that looks something like an elephant’s trunk, new research actually shows this name is more appropriate than initially intended: their DNA is more closely related to that of elephants than other shrews. There are 18 species of elephant shrew spread throughout Africa, the majority of which have excellent names such as the Dusky-footed, the Golden-rumped and the Checkered elephant shrews; all of them are monogamous and mate for life, which just goes to make them even more adorable. Buffalo weaver: unlike our ‘one partner for life’ elephant shrews, the buffalo weaver is a frisky little bird with the males controlling nests containing up to eight chambers and three females. 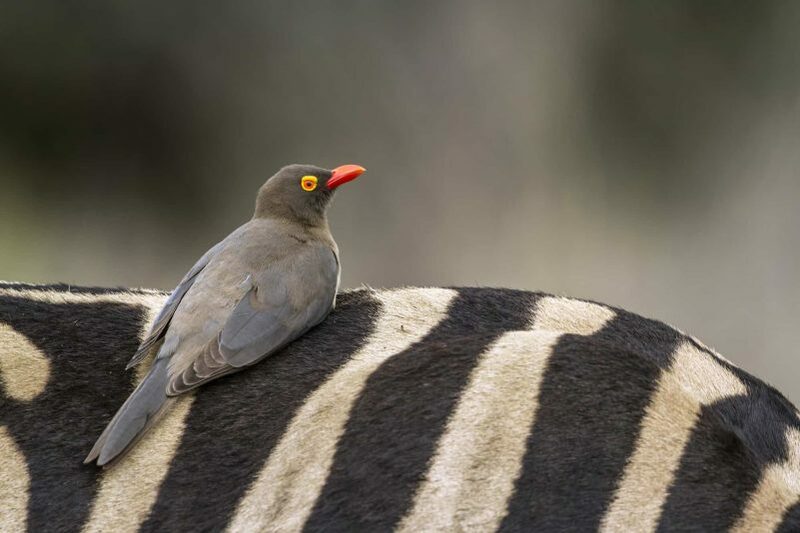 The red-billed buffalo weaver is a common sight on safari, frequently found perched on the back of a large mammal picking out ticks and tidbits. Loud, gregarious and more than a little arrogant in nature, they are the sports jocks of the bird world. 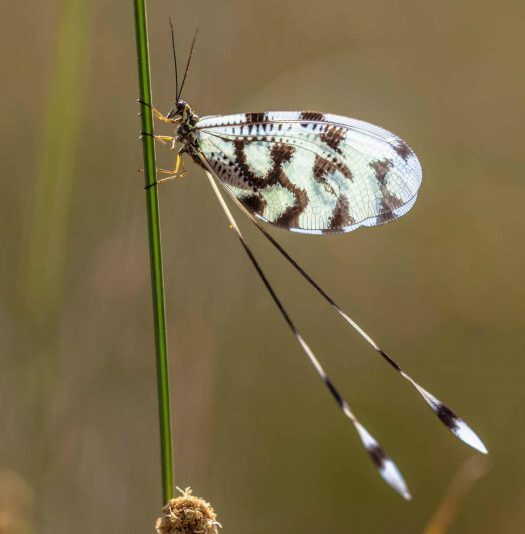 Ant lion: of the 2000 species of ant lions flying about the world, Africa has the largest of them all with some of these dragonfly-like insects reaching 15cm long. Look out on dusty roads for funnel-shaped holes in the ground: chances are, an ant lion has created that by rotating rapidly and drilling down. He will be hiding at the bottom waiting for any unsuspecting prey to fall in, basically straight into his jaws (they’re known as ‘doodlebugs’ in the States because of their habit of appearing to doodle on the sand when looking for the perfect spot to take the plunge).